In this section the historians featured offer the guidance they wish they had been given (or sometimes were given) when they began their career as teachers. 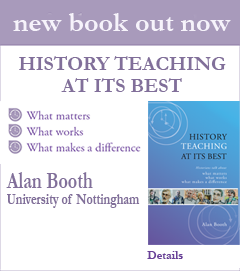 Their insights cover a wide range of topics covered also in earlier sections and particularly underline the human dimension of teaching history. The suggestions they make, they emphasise, are not intended to be applied in a rigid fashion, but are offered as signposts that can help others to orientate themselves and find their own answers in their own contexts. Above all they emphasise that teaching matters and that teaching with passion and purpose is important at all stages of the career.